Ameya is the child actress playing the character of parukutty in Popular Malayalam Serial Uppum Mulakum on Flowers TV. Uppum Mulakum is one of the most successful and popular sitcome in Malayalam Television. Amerya is acting as the fifth child of Balu and Neelima, characters of the serial. Her name is given as Parvathy Balachandran Thampi aka Parukutty only later. The fifth child was introduced in Episode 604. Ameya was lauched as Parukutty or Kunju vava in episode 610. Ameya was selected to Uppum Mulakum through auditions when she was only four months old. 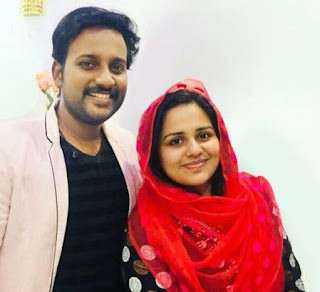 Ever since she was introduced all viewers of Uppum Mulakum became her fan. 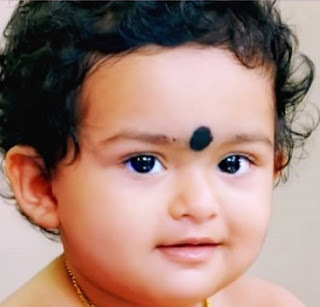 Baby Ameya won the heart of malayali audience through innocent cute look and beauty The new character of Balachandrika helped the serial to gain back the audience which was lost earlier due to uninteresting story line. In March 2019 she is above 1 years old. Audience got chance to view the different stage of such an adorable baby in front of them. The family details of Akshara are given below. The sitcom, narrates the life of Balachandran, his wife Neelima, their four children Vishnu, Lakshmi, Keshav, Shivani. Biju Sopanam as Balu (Balachandran),Nisha Sarang as Neelima (Neelu),Rishi S Kumar as Vishnu , Mudiyan),Juhi Rustagi as Lekshmi (Lechu),Shivani Menon as Shivani(Shiva),Al Sabith as Kesavan (Keshu) are the main actors of the serial. The natural performance by lead actors and the real life events are making it very popular among audience. The show has won many awards in recent television award shows. The Kerala State Television Awards 2016 for best Comedy program was won by Uppum Mulakum. In the recent Mangalam miniscreen awards 2017 Biju sopanam won Best Actor award while Nisha Sarang won popular Actress awards.Alsabith & Sivani Menon got best child artist awards.